These diagrams are created using SimpleUML. 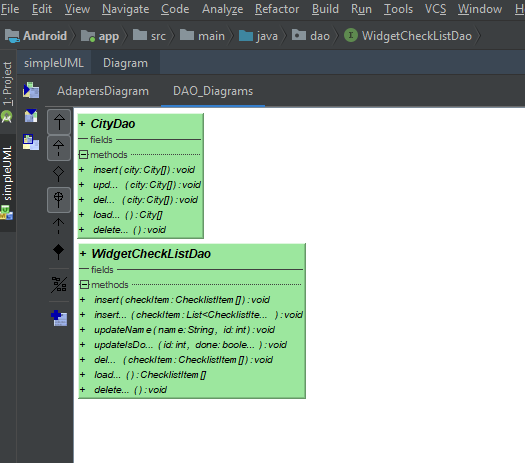 To access these diagrams, simply install SimpleUML as a Plug-in for Android Studio by following the GIF, note that in the last part you should see an "Install" button and click it to install the plugin. If you can't clearly see it, click the GIF. These diagrams do not affect the app at all and only serves for the purpose of documentation. 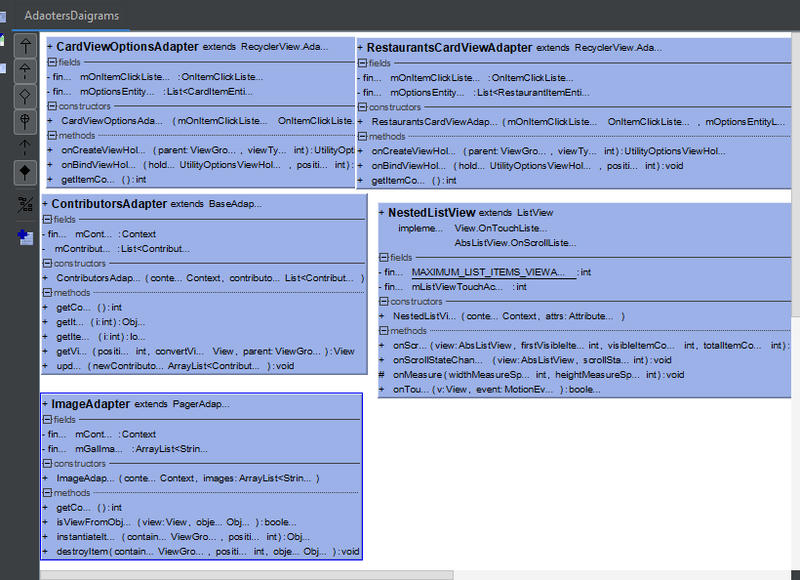 Thus, if you have the SimpleUML Plug-in installed, you can see and use these diagrams too. As these are for the purpose of documentation, there would need to be some descriptions added to the functions illustrated in these diagrams so as to help the developers understand them better. These diagrams are still incomplete and I would continue adding more diagrams in the upcoming days.